Statements like the one above can serve as such a cliché these days. It’s like we’ve heard it so many times in different forms, shapes and sizes, that it doesn’t really seem to have an effect on us anymore. Outwardly, we nod in an approving manner which suggests that we wholeheartedly agree with such statements. But inwardly we roll our eyes whilst questioning God asking when and if our other half will ever come along! But I will be real with you! There isn’t a fancy way to put it. THE CLICHÉ IS TRUE and there isn’t another way around it. Only the love of God can truly satisfy. It’s really quite funny how we fail to recognise how loved we are by God. We talk about the love of God so casually these days to the point where it almost becomes meaningless. I say this because I think if we truly grasped and understood as believers how much God loves us it would blow our minds and there would be something different about us. Earthly love would always take its seat as 2nd place! As believers there should be something in our step, something in the way we walk, some kind of glow about us that portrays that we are deeply loved and not loved by just any ordinary man… No! But loved by The Creator of the universe. Loved by The God who sits high and looks low. Loved by The God who uses the earth as His footstool. Now that’s deep! The Word says in Isaiah 49:16 that our names are written in the palm of His hand. In Mathew 10:30 it says That every hair on our heads have been counted and in John 3:16 it says that He was so much in love with us that He gave up His only son to die, just for a relationship with us! I’m not sure that any other love can live up to this kind of love. This is no casual love and it certainly isn’t a circumstantial love because The Word says that even while we were yet in our sin, He died for us. 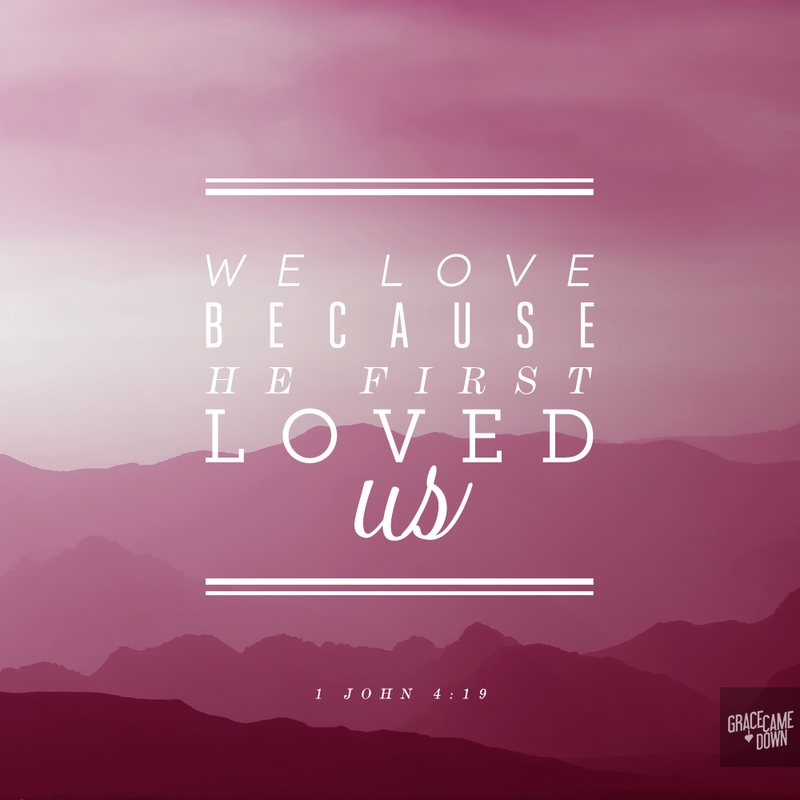 So even when we openly turned our backs to Him and publicly reject Him, He still loved us enough to give up His son. You see naturally human love usually has some kind of limit on it. No matter how much I may love someone in my human limitations, it’s likely that if they continuously hurt and cheated me then the relationship would not continue let alone me going as far to sacrifice something so dear to me to maintain the relationship. *smh* this is not likely! But God did this! God’s love is not restrained to the limitations of our mind sets. The word says in Isaiah 55:8 that His ways are nothing like our ways and His thoughts are nothing like our thoughts. I would use this to say that the way we love is completely different to the way God loves, it’s not even on the same scale. We are totally missing out if we are too busy RUNNING after earthly love that we don’t stop and take the time to WALK in God’s love. We have no other option but to run in earthly love because it requires effort and it usually has to be earned. But we walk in God’s love because we did not and could never earn his love. Its grace, something we do not deserve but is poured out freely because of who God is and not because of who we are. I heard a saying recently that goes ‘if you live for people’s acceptance you will die by their rejection’. What an unstable and uncomfortable way to live. If we are waiting to be loved by man before we feel that we can have real joy, then we are doing ourselves a real injustice. Most especially when the love that can give us the most joy is there ready for us to walk in. Earthly love is beautiful, let’s not get it twisted, and God does call us to love one another, however this kind of love should just be an addition to the love that we receive from our Father. God’s love completes us. God’s love makes us whole. There is a real peace that comes from understanding the love that God has for us. It’s a kind of peace that stops us from seeking validation from social media or from relationships, God ordained or not. It’s a peace that lets us know that even if the world has rejected us and does not love us that everything will be fine because we’re loved by Him, the King of kings. The one who’s love has no bounds. Dear Lord, I realise that Your love knows no bounds. I realise that I am in need of You to complete me. Would You take Your place as The King of my heart? Would You engulf me with Your love to the point where nothing else matters but You? Fill me up to the point of overflow that I may pour out and realise Your love to all those around me.